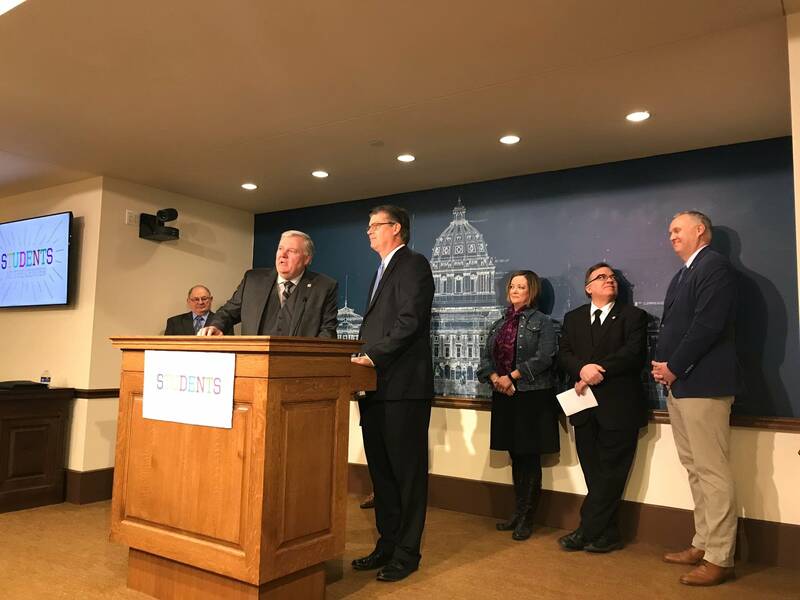 Concerned about the paperwork pressures on Minnesota's special education teachers, state senators on Thursday offered bipartisan legislation that they said would reduce that paperwork burden by up to 52 hours per student. Documentation demands, spelled out in the federal Individuals with Disabilities Education Act, have long have been a source of frustration for special education teachers. Those include writing an Individualized Education Program (IEP) plan for each special needs student. But state requirements around the program are a lot of extra, unnecessary work, said New Ulm Public Schools Superintendent Jeff Bertrang, who has been urging legislators to get rid of some of the meetings and forms required for changing behavior plans for students. "Based on state law, we have to hold an IEP meeting to change [the plan] if it doesn't work," he said. "That requires more people, more time, different deadlines than just saying, 'Hey, this isn't making sense. Two of us put our heads together and let's change it,'" Bertrang said. Special education teachers are in short supply and among the most difficult staff for schools to hire. Lawmakers worry about losing special education teachers overwhelmed by the amount of time they spend filling out forms, said state Sen. Eric Pratt, R-Prior Lake. "Over 50 percent of a teacher's time can be taken up with paperwork and mandated procedures. And it was cited as one of the key factors to teacher burnout," Pratt said. "All of the policies with special education that were implemented were done with the best of intentions. But the process has become so complex that we're taking away valuable time, teacher time, from that student."